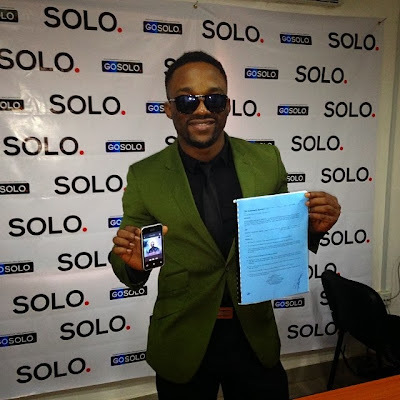 Iyanya signs endorsement deal number 3 with solo Phones;$220,000 and a brand new Prado jeep all in the package! Big Congratulations Iyanya,When its your time its you time.. Seems this is Iyanya'a Naira rain season biko please bro bring out all your storage cans and "store up" all the goodness that you can ohhh before the drought heads your way.. 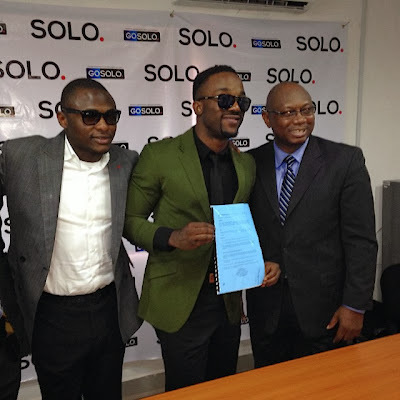 The deal is said to be for a year and with all the perks Iyanya is sure smiling heavily to the bank. This is Iyanya's 3rd endorsement deal with him being ambassadors for Telecommunications company MTN and Zinox computers.